A little comedy goes a long way. Every month we make a meme or 2 and post it up on our Lenderd Facebook Page along with $10-$15 to boost it up so our audience will actually get to see it and the results are always well worth it. 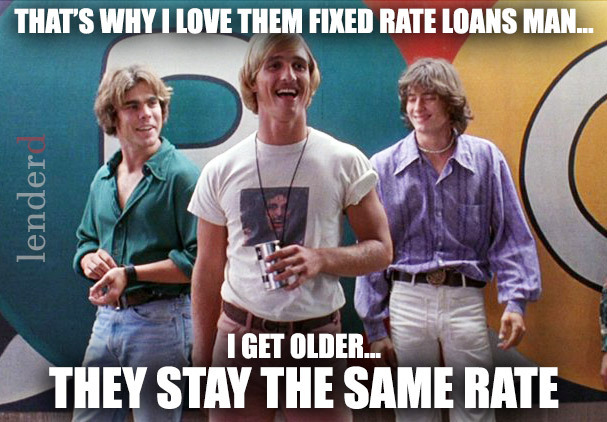 This particular meme is from the classic movie Dazed and Confused and reached over 13,000 people with almost 150 interactions, added about 30 likes to the page and 42 shares edging out our Napolean Dynamite meme. In case you’ve been living under a rock, here’s the actual scene from the movie, one of McConaughey’s best imo. Looking to sell products or services on Facebook? Start with engaging content, and then more engaging content, and then more engaging content, then sales, not the other way around.